Pallets can totally revamp your house with some fun and functional additions to all the sections of the house. Just name a thing you need for any area of the house and pallets would be ready to get you that item. To show you some nice examples and samples we have with some pallet inspirations falling into different categories of home furniture. 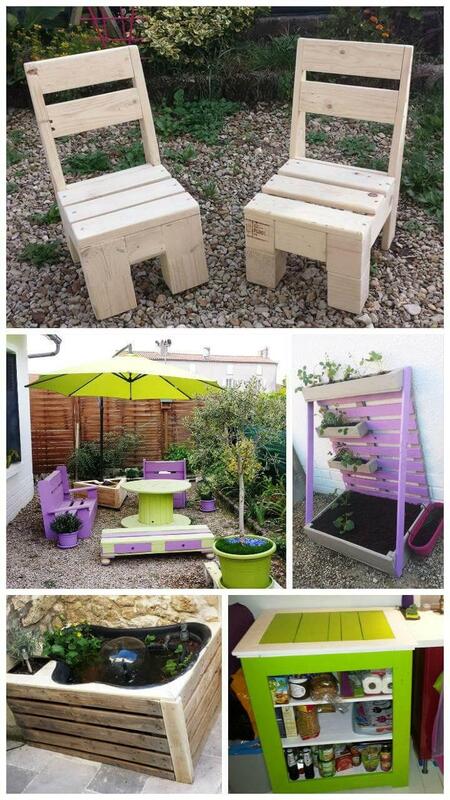 So have a look at these DIY awesome pallet ideas belonging to different parts of a home. First we have two immense cute chairs for kids made out of small slats and blocks. Then we have totally chic styled shelving unit for food storage in the kitchen and a retro style outdoor seating set. 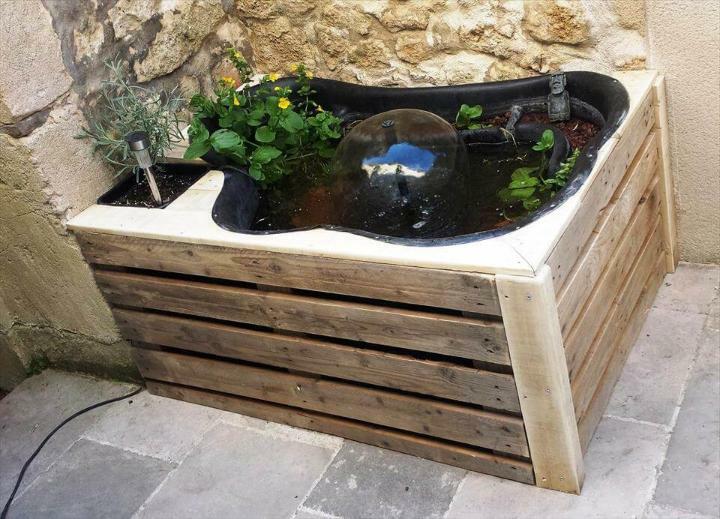 For the garden lovers there are two stunning pallet planter ideas to act upon and add some decorous value to their green spaces. The best thing about these ideas is that they are all feasible in structure and modern in design with vibrant shades of hues making them look more up to date. 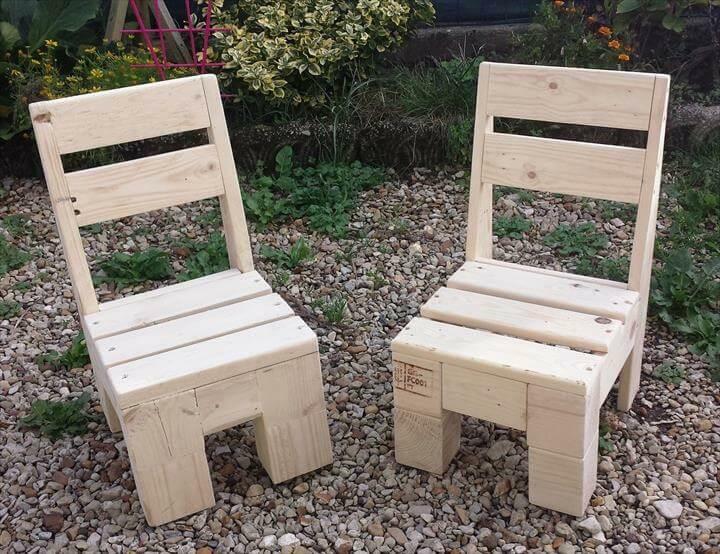 Make these cute chairs out of the pallets for your kids using small pallet slats to form the seat and back and the blocks to serves as the legs. 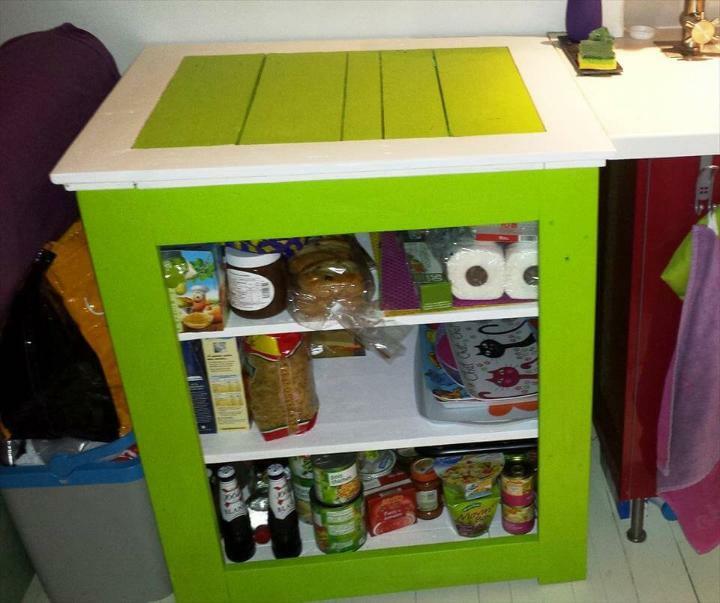 Get your things organized in the kitchen especially the food stuff with this pallet made shelving unit which looks amazing in the green and white stained look. 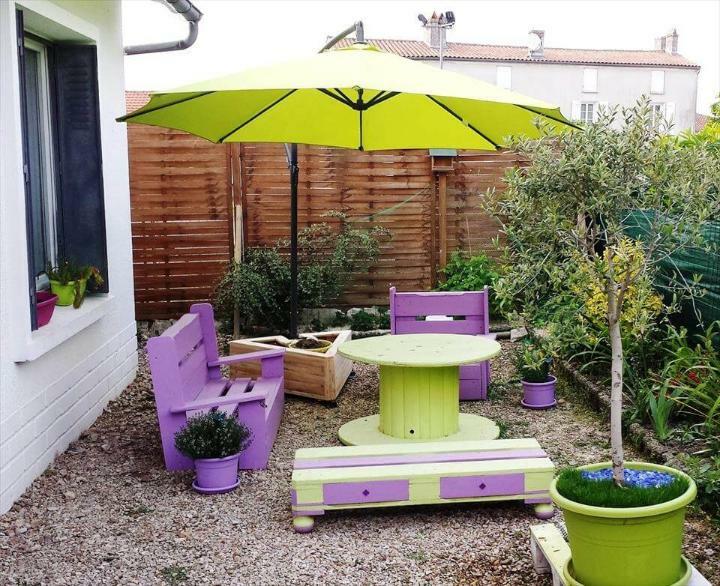 Give your patio a functional and stylish seating with pallets having these cut sofas, a cable spool table, a low build pallet coffee table with eye catching purple and green stain hues. 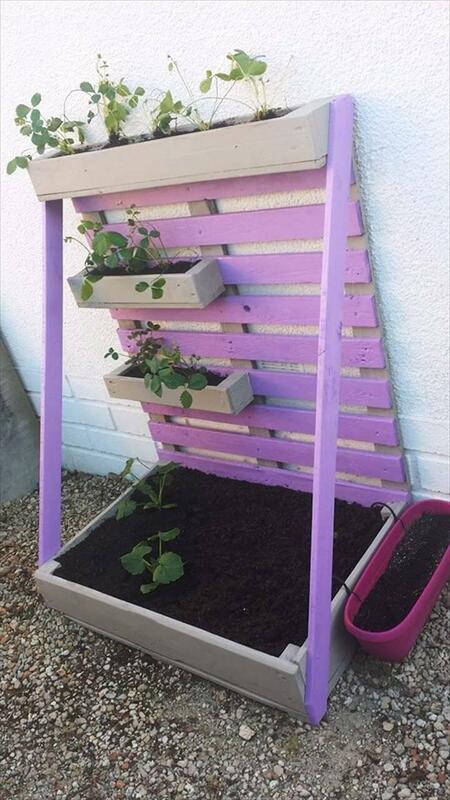 This pallet made planter is double functional as the raised wall would hold the small planter racks and the base planter box would do more flower or vegetable planting for you. Using the large and thick pallet slats this planter box or crate has been made to let you grow your favorite green things in it.